CDs & DVDs are a great way to hold onto your digital files - whether its photography for a special occasion, training files for a new employee or event footage for conferences. Personalisation can really make your CD & DVDs shine - especially if the design is printed straight onto the disc. Find out how printed CDs & DVDs can really make your digital files more exciting. We're fans of printed CDs & DVDs here at Avery WePrint. They look clean and professional, plus you don't need to worry about application like you would for CD Labels. But, designing a printed CD is different from designing a business card, for example. As CD Printers, we're giving you some key tips to design your printed CDs. CDs & DVDs are round with a hole in the middle. 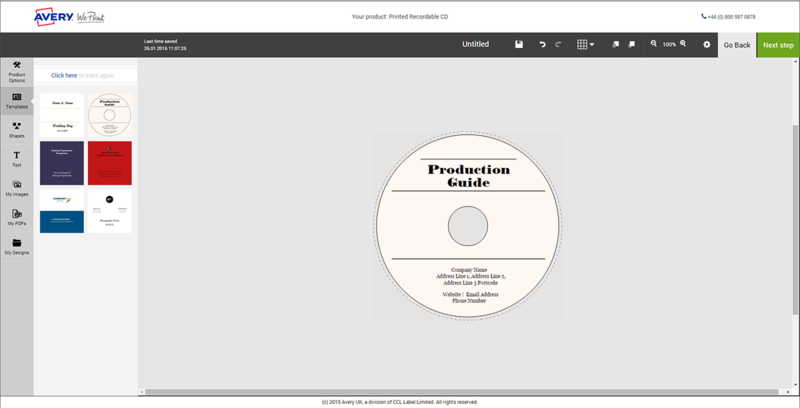 You need to take the size and shape into consideration when you're designing your printed disc. 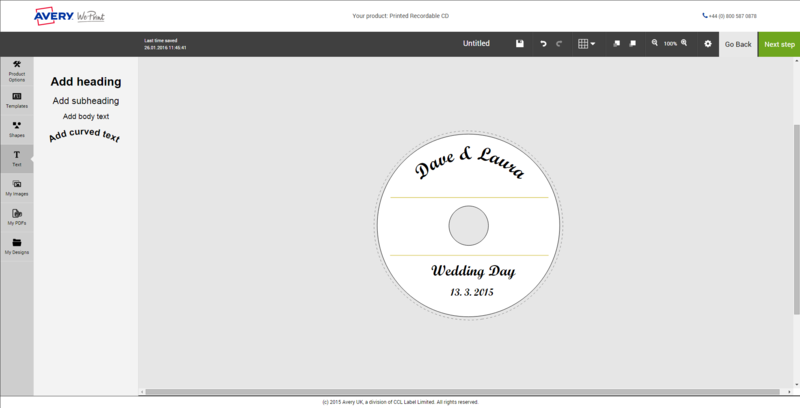 In our WePrint designer tool, we've showed how large the CD & DVD hole will be to help you preview your overall design. Ensure that your design isn't cut off by the middle hole. Try and get all of the valid information near the centre of the available space. Whether you're a photographer using the discs for event photography, saving files for a training manual or using it for a client presentation, you should include branding - whether its yours or your client. We see a lot of photographers coming to WePrint to use our printed discs. Many of them use a key shot from the day they were capturing - whether it was a wedding or a corporate event, the name of the event, their own logo and their client's logo. Printed CD & DVDs are the perfect place to use curved text! It shows you've personalised your printing & branding for the shape of the disc and can make the overall design look more professional. So, next time you're looking to personalise your printed discs, make sure you use some of these tips! It can help make your digital files look the part in front of clients and potential customers. Have you got any more tips? Comment below and let us know!